The extraterritorial scope of international human rights treaties has prompted vigorous debate in recent years. Much of this debate has focused on earlier developments in the European Court of Human Rights as well as the comparative jurisprudence of other international human rights treaties, with a particular focus on the concept of jurisdiction. 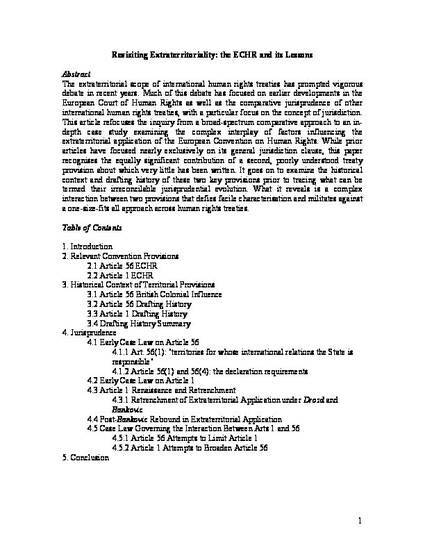 This article refocuses the inquiry from a broad-spectrum comparative approach to an in-depth case study examining the complex interplay of factors influencing the extraterritorial application of the European Convention on Human Rights. While prior articles have focused nearly exclusively on its general jurisdiction clause, this paper recognises the equally significant contribution of a second, poorly understood treaty provision about which very little has been written.  It goes on to examine the historical context and drafting history of these two key provisions prior to tracing what can be termed their irreconcilable jurisprudential evolution. What it reveals is a complex interaction between two provisions that defies facile characterization and militates against a one-size-fits all approach across human rights treaties.